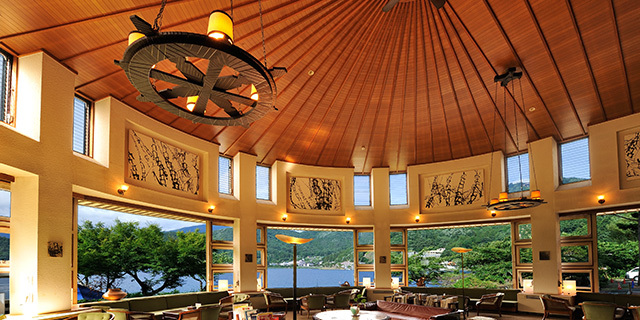 Located on the clear shores of Lake Kawaguchiko at the foot of Mt. 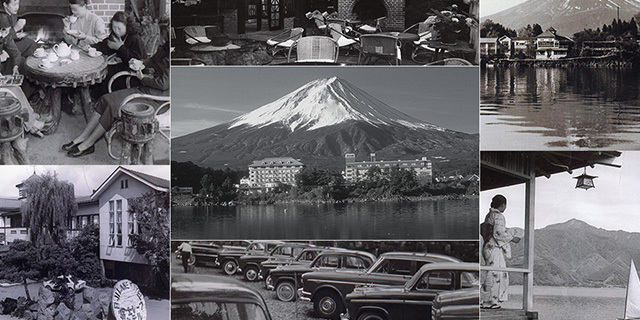 Fuji, we are a people-friendly hotel with a rich heritage dating back to 1930's called the Fuji Lake Hotel. The surrounding scenery changes with the seasons providing four beautiful and distinct backdrops for you to enjoy. 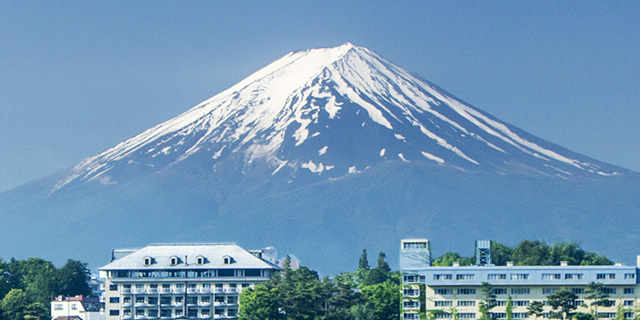 Our rooms are comfortably appointed and complemented by spectacular views of Lake Kawaguchiko, beautiful Mt. 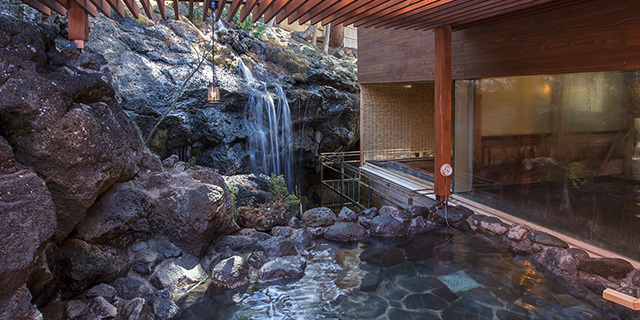 Fuji or with relaxing private hot spring bathtubs for your own private use. All of the rooms are supported with the outstanding personal care and comfortable amenities you deserve for your vacation. 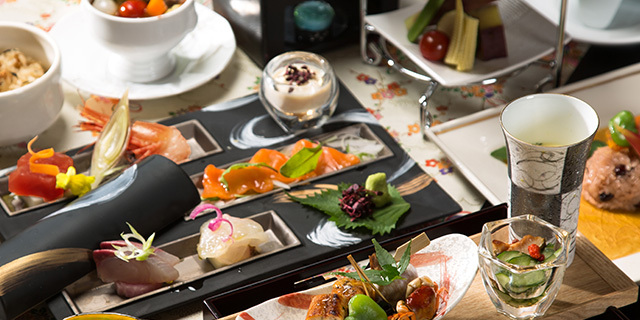 The coffee lounge offers delicious light meals for lunch, and you can enjoy freshly brewed coffee with an expansive view of Lake Kawaguchiko. The main bathhouse is equipped with a sauna and jacuzzi, and you can soak to your heart's content in our natural hot springs sourced from 1500m beneath majestic Mt. Fuji. View Mt. Fuji over the lake with your breakfast from our restaurant which serves both Japanese and Western dishes in a buffet-style. We also have a free observation deck, and paid private hot spring bathroom with a view of Mt. Fuji which is available upon reservation. We'll be looking forward to your visit. 1, Funatsu Fujikawaguchiko-machi Minamitsuru-gun,Yamanashi-ken 401-0301. Copyright © Fujilake Hotel All Right Reserved.